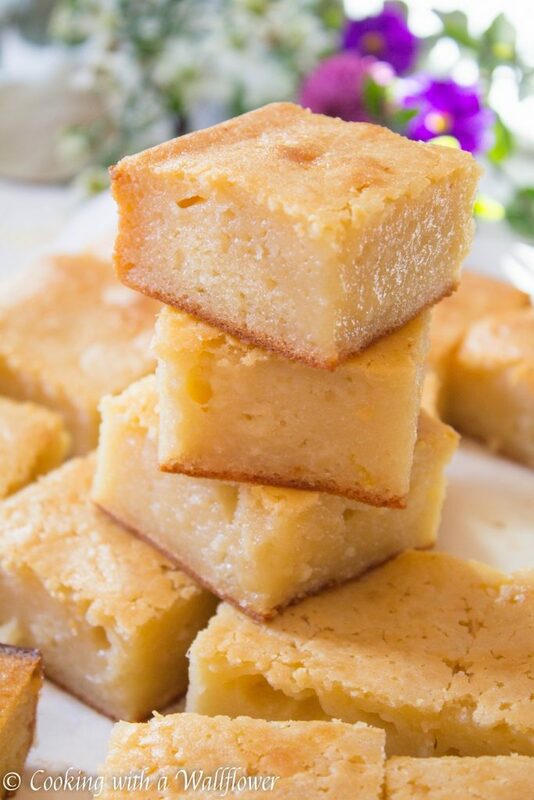 Soft and buttery mochi cake with just a hint coconut milk in every bite. 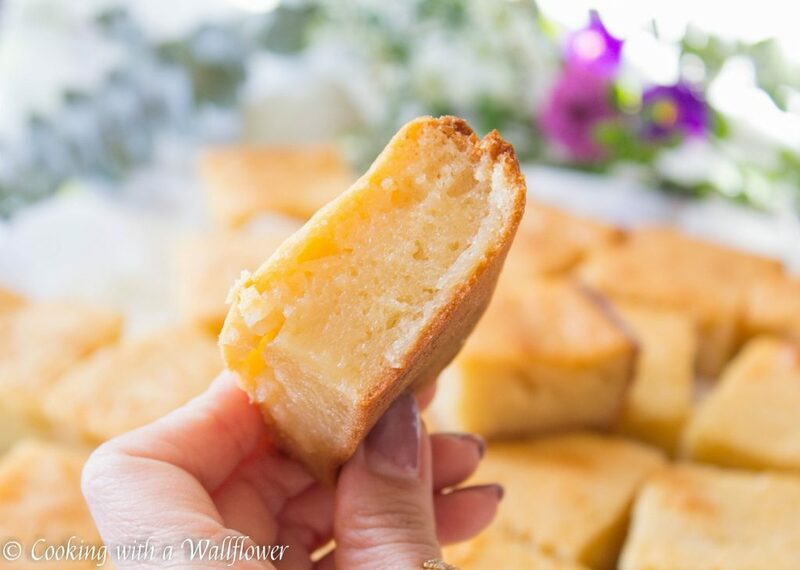 This butter mochi cake is custardy and perfect as dessert. It’s time for a midweek treat to get us through the rest of the week! Today we’re going to make butter mochi cake. 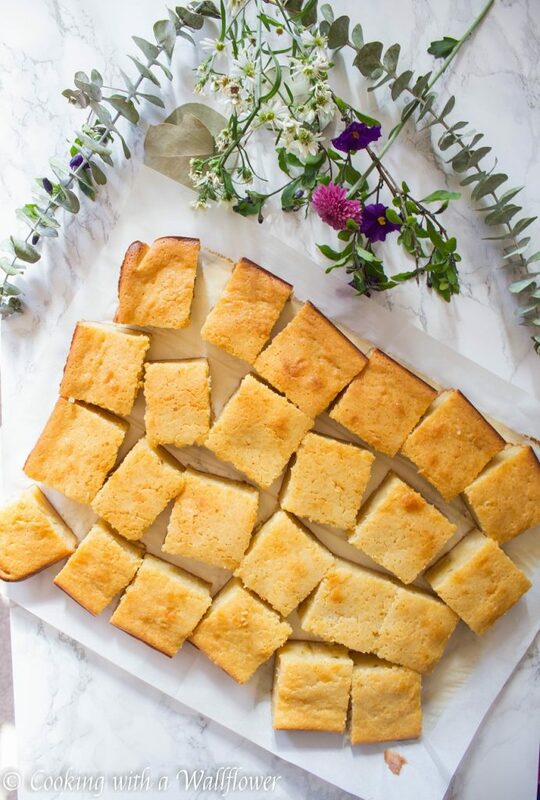 If you’ve never had mochi or mochi cake before, you’re going to be in for a treat. I love the simplicity of the ingredients and the ease of creating the batter. And oh my gosh, that flavor. Seriously, all that buttery goodness, that slight crunch on top, that aromatic flavor of coconut milk, and that soft chewy texture that’s alll mochi. 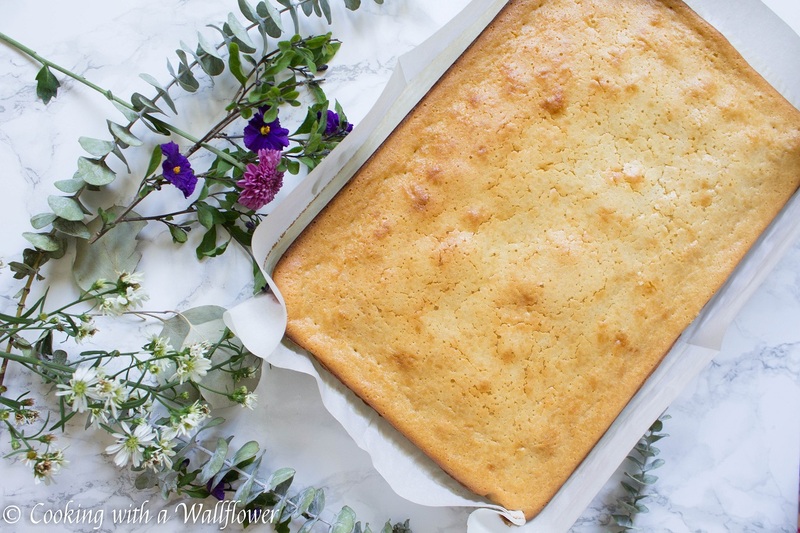 An entire 13×9 inch pan of butter mochi cake. And it’s impossible to resist. I had one piece of the mochi cake and I couldn’t stop eating another. They’re that good. Preheat the oven to 350F. Line a baking pan with parchment paper and lightly grease the surface with olive oil. Set aside for now. 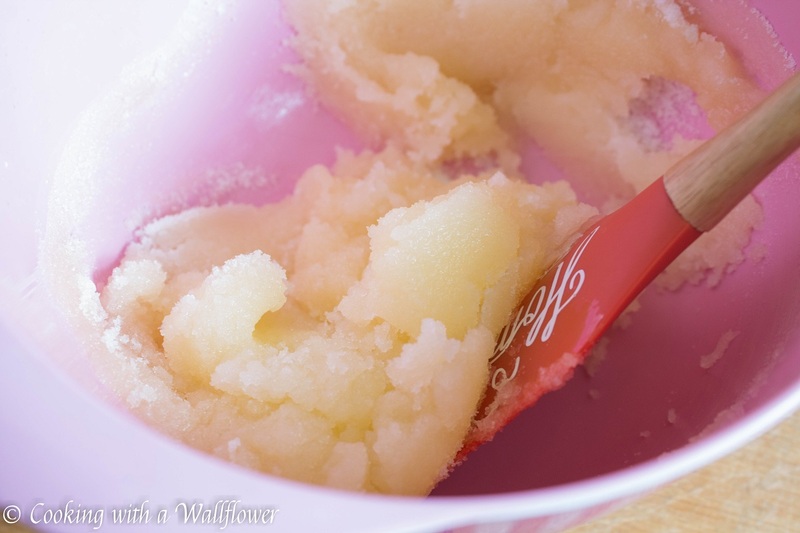 In a medium sized mixing bowl, mix together melted butter, vanilla extract, and granulated sugar until combined. 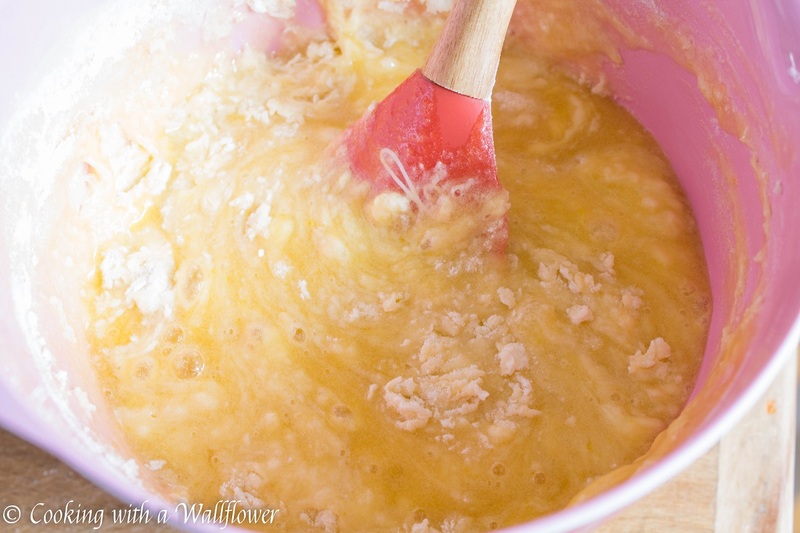 Add eggs, one at a time, and mix until combined. In another mixing bowl, sift together the mochiko flour and baking powder. Pour the dry ingredients into the wet ingredients. Mix until combined. Pour in the evaporated milk and coconut milk. Mix until the batter comes together. 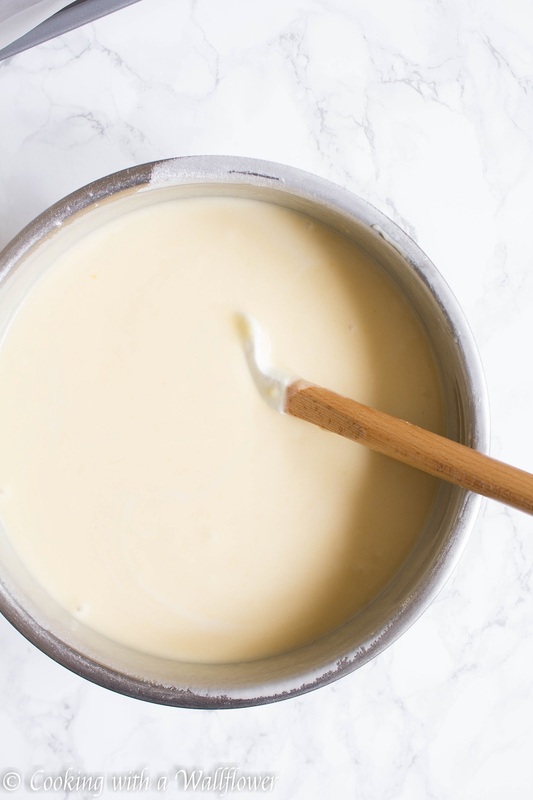 The batter will appear liquidy. Pour the mochi batter into the prepared baking pan. Bake the mochi cake for 50 minutes to an hour. 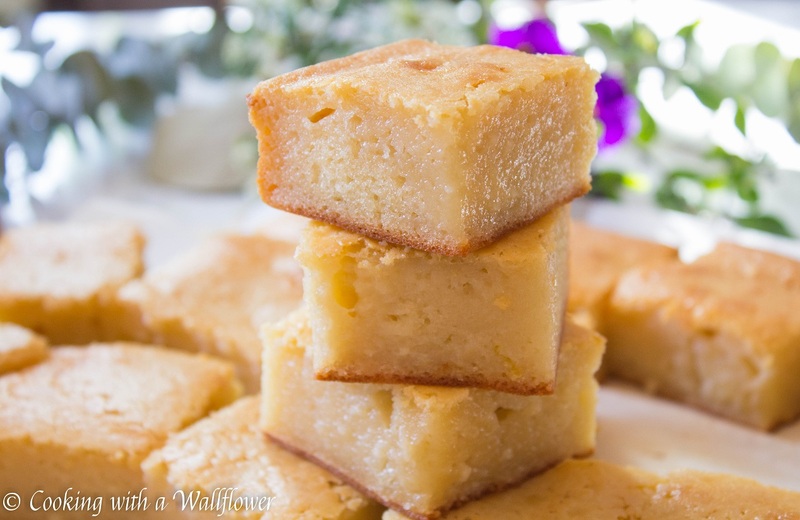 Remove the butter mochi cake from the oven when the top is browned. Test its readiness by inserting a toothpick into the center. 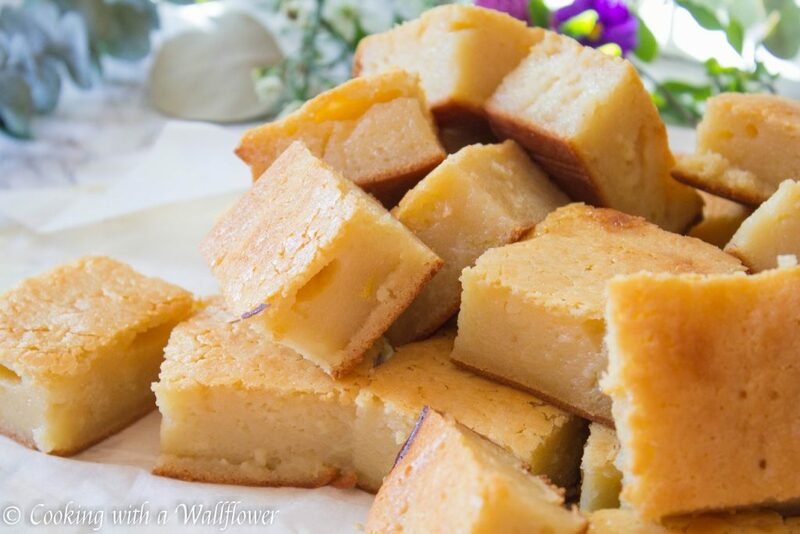 If the toothpick comes out mostly clean, the butter mochi cake is ready. Wait until the cake has cooled to room temperature before slicing into 24 pieces. 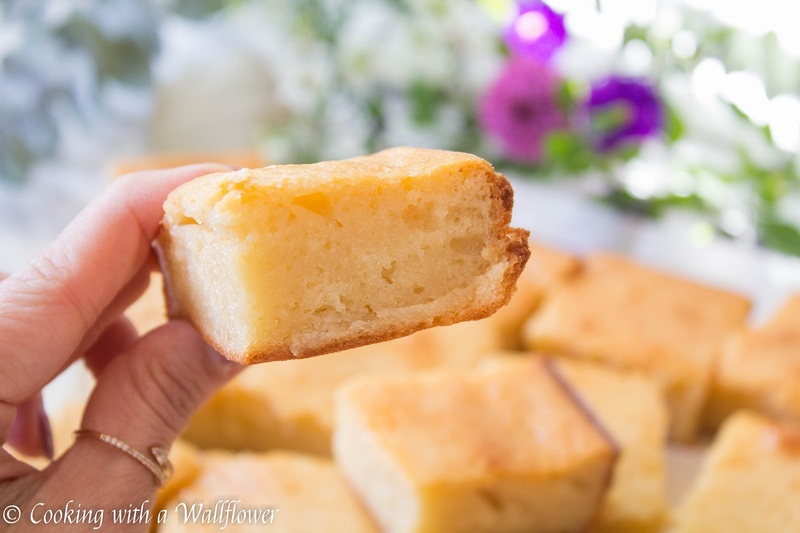 Serve the butter mochi cake warm or cold. 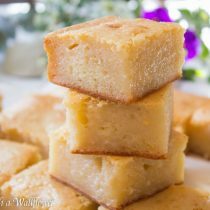 This entry was posted in Desserts, Gluten Free, Quick and Easy, Recipes, Vegetarian and tagged dessert, gluten free, quick and easy, vegetarian. Your recipes are excellent but what is mean by wall flower? Wow that looks really moist and delicious! I confess to never having heard to mochiko flour so now I am intrigued by a new ingredient. I will need to see if I can source some and then I can give this recipe a whirl. No wonder you are popular with your co-workers these look delicious. But I’ll have to source some mochiko flour before I can make these. I had never heard of it so i googled it. Looks like Walmart and Target carry it.